I’ve never personally had much involvement with Taiji Arita or his photography. Over the years obviously I had numerous opportunities to view his work in magazines and other settings, and I also went to his solo exhibitions. I think it was at a 1982 showing of his paintings, 18 Paintings at the Tokyo Designer’s Space, that I vaguely remember standing chatting to Arita, who was decked out in a black suit and bowtie. He intimated, somewhat embarrassed, that as a photographer showing paintings, sometimes he wondered what on earth he was getting himself into. 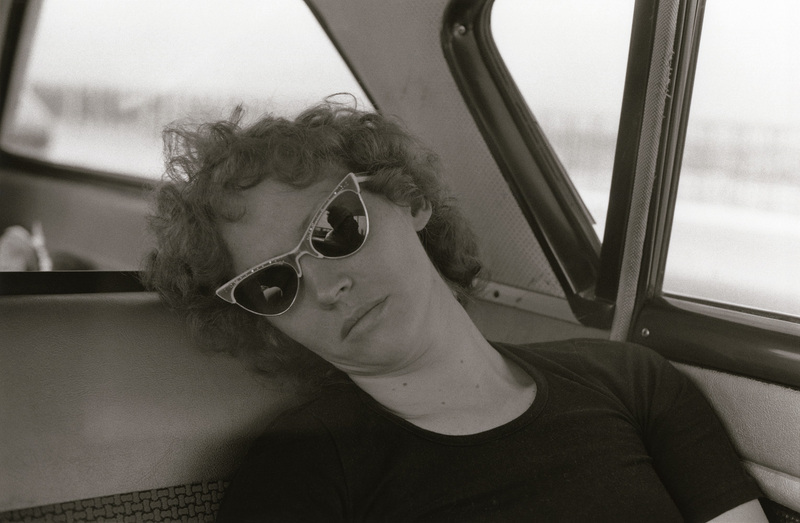 Among the work of this photographer of whom I have only such dim, fragmented memories, it is First Born that is the exception, that invariably comes back to me with incredible vividness. Several photos from this series, and even the way they were arranged on the pages of the magazine Camera Mainichi are etched on my mind with crystal clarity. And rather than fading, the memory of this particular work felt to be growing stronger with each passing year. Just as I was pondering this, a request arrived from Yoshihiko Ueda to write the text for an Arita exhibition he was organizing. Perfect timing? More like destiny, I suspect. First Born ran over thirteen issues of Camera Mainichi from May 1973 to September 1974, excluding the March, July and August 1974 issues. Kisekae to shageki no geemu (Dressing up and shooting game) in the February 1975 issue used the same models and concept, so can probably be considered part of the series. There are also a number of works serving as forerunners of First Born, such as JESSICA in the February 1969 issue, Sunny in May 1971, GI Joe in September 1972, and October 1972's Jesu to Noto no tabi (Travels in Noto with Jess). It is during this period that Camera Mainichi was truly approaching its zenith as a photography medium. Shoji Yamagishi of the magazine's editorial department, who from the early 1960s was responsible for selecting photographers to feature in the magazine, made bold use of up-and-coming photographers in an attempt to revamp its pages. Yamagishi's initiative in this respect led to the rapid emergence of figures such as Yoshihiro Tatsuki, Noriaki Yokosuka, Yutaka Takanashi, Masahisa Fukase, Kishin Shinoyama, and Daido Moriyama. 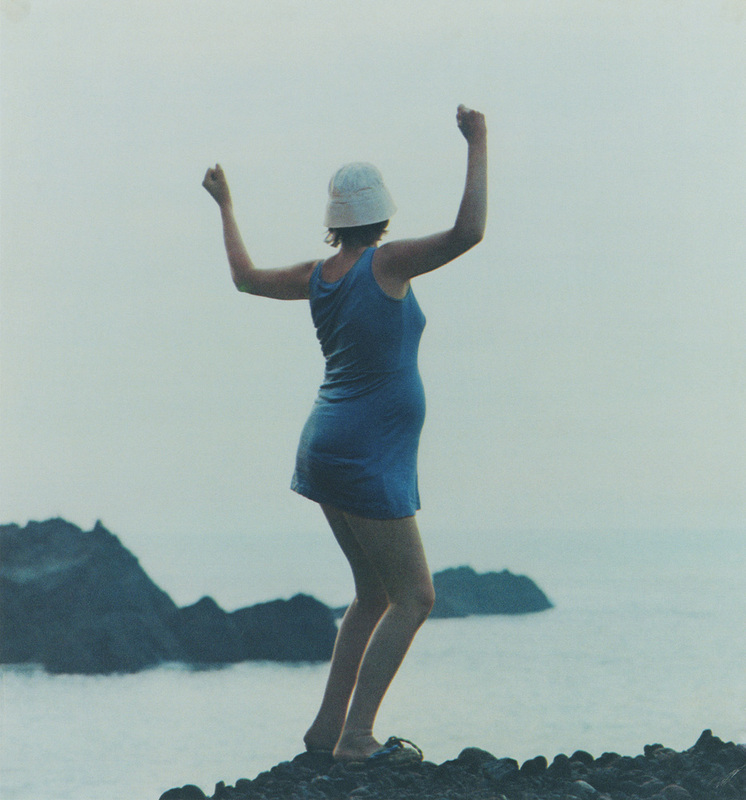 By the 1970s Camera Mainichi had evolved into an even more active route to artistic recognition, its pages crammed with ambitious offerings particularly from photographers in the advertising and fashion worlds. These included Hajime Sawatari, Kazumi Kurigami, Masayoshi Sukita, Bishin Jumonji, and of course, Taiji Arita. In Camera Mainichi, a magazine full of new photographers jostling for attention, Arita's First Born was actually launched rather stealthily over three to five pages of each issue. I have no idea why Yamagishi asked Arita to do a series, or what he was looking for. But as the issues accumulated, First Born steadily started to exert a mysterious pull, and gradually it became obvious that here was a unique piece of work virtually unprecedented in the history of Japanese photographic expression. Even the fact that it continued for a whole thirteen instalments, then the additional Kisekae, suggests that the series was all Yamagishi had hoped for, most likely more. 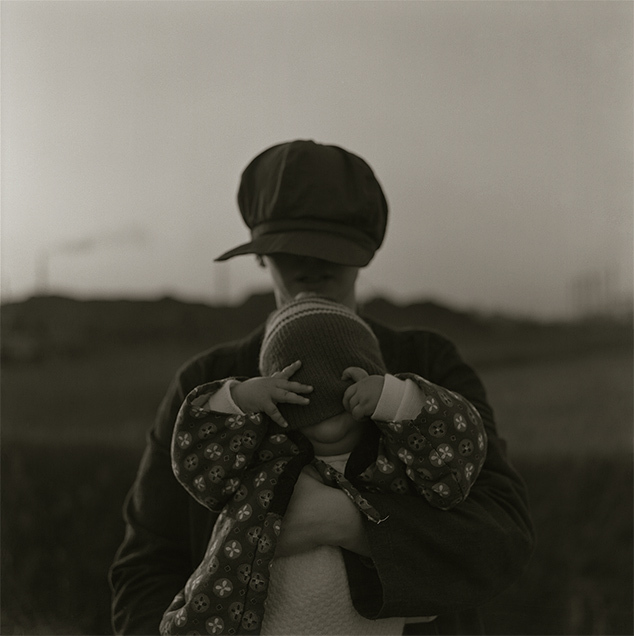 As the title suggests, the theme of First Born was the birth and growth of Arita's own first child. 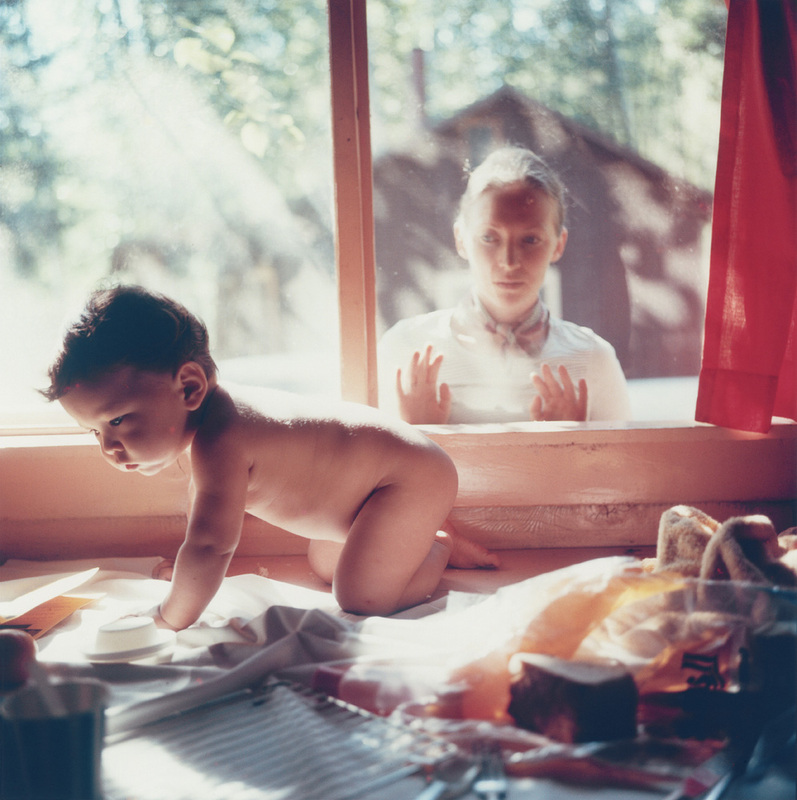 On each occasion, Arita's Canadian wife Jessica and son Cohen appeared as models, performing in various ways for the camera. 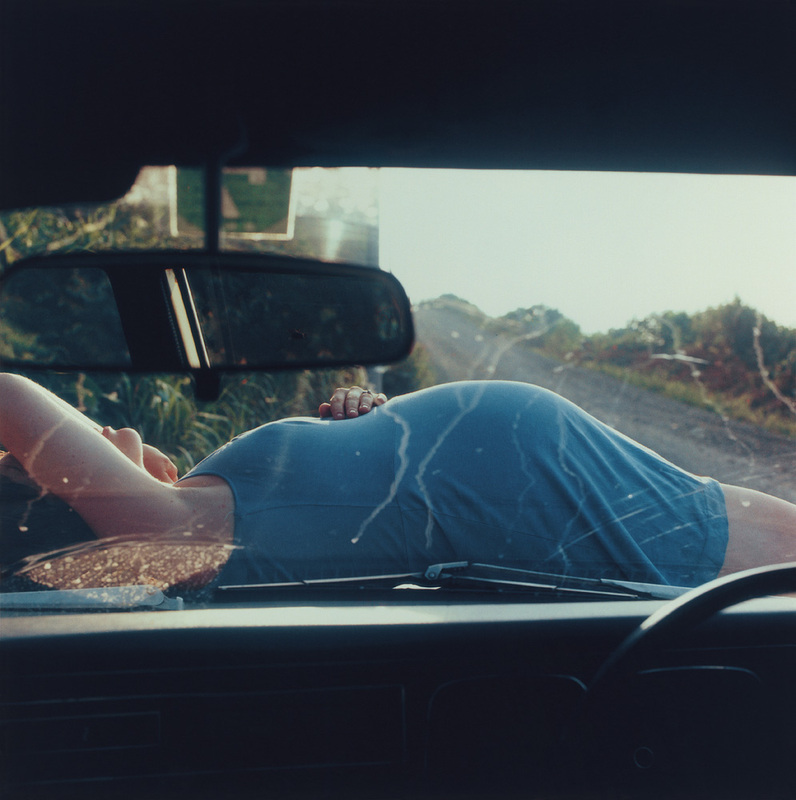 It's not that no other photographer had ever produced work featuring his wife – that most familiar “other” – or family. Shoji Ueda had been taking staged family photographs since soon after the war; nor should we forget the well-known work of contemporaries such as Nobuyoshi Araki (Sentimental Journey , Yoko My Love ), and Masahisa Fukase with Yugi/Homo Ludence (1971) and Yohko (1978). 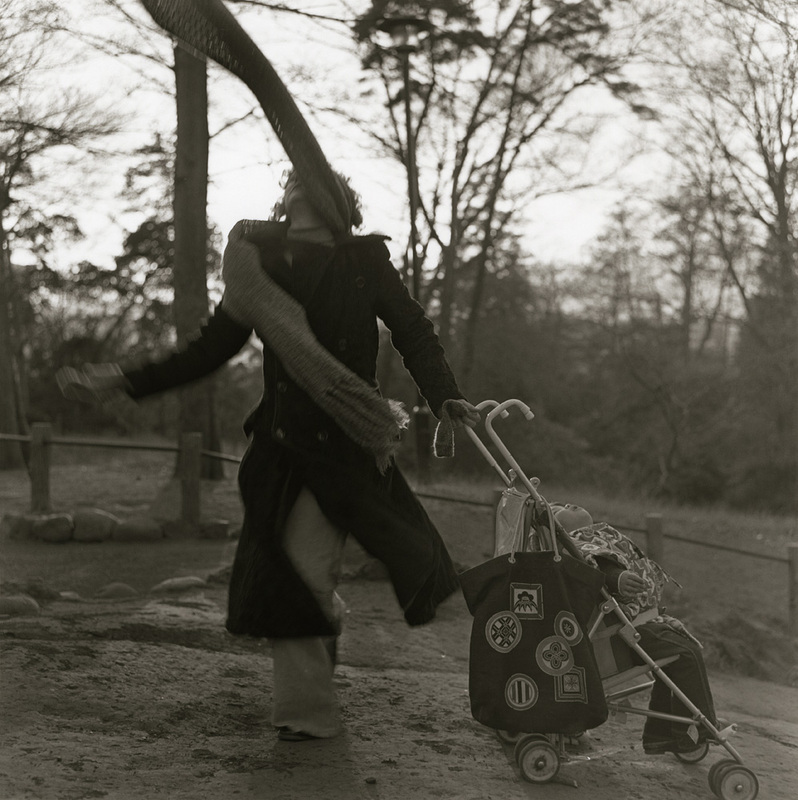 But unlike images such as these, which while embracing performance and fabrication were basically documentary in character (what Araki calls shinjitsu shashin [“truth photos”]), in First Born Arita doggedly persisted with images of an entirely staged nature; the construction of an artificial realm. In the course of viewing this series one actually becomes torn between amazement that the photographer would actually go this far, and wondering whether it was really acceptable for him to do so. Arita treats his wife's naked body like a toy, suspending her in midair, rolling her on the floor, immersing her in water, wrapping her in wire. The baby boy too is kept busy being held sideways, dangled upside down, and covered in fabric. Thus Arita would seem to be unilaterally imposing his photographer's ego, but as Shoji Yamagishi explains in the May 1974 issue of Camera Mainichi, and “Jess, Mrs Arita” makes clear below, this was not the case at all: in reality the photo shoots unfolded as a collaborative effort more akin to jazz musicians in a jam session. Looking at First Born, one sees that it is indeed the product of the couple's “communication,” and it is clear that while involving a young child, they are genuinely enjoying the production process. In a sense, First Born could be described as an accumulation of new creative acts, those of the couple “giving birth to photos.” Which is why it could also “in a way, directly question (their) lives (way of life).” Just like giving birth to children and raising them, giving birth to a series of photos and raising them as a couple: a determination to lead this kind of “life (lifestyle)” is asserted with carefree abandon in First Born. However, one cannot overlook the fact that just occasionally, the overall joyous tone of the series took on a slightly heavier, darker feel. “When we're communicating well with each other, the photos are great”. True, but there must have also been times when communication was not as good. Ongoing collaborations of this sort also risk engendering cumulative misunderstandings and frustrations. Particularly among the later First Born shots are a number marked by a palpable tension, and an excessively staged look in reaction to it, to the extent that some of the images verge on the painful. Conversely, the feat of strength required to negotiate such a tightrope of emotions is perhaps the series' greatest attraction. Taiji Arita was born on January 31, 1941, in Kokura (now part of Kitakyūshū ), Japan. After briefly studying law at Chuo_University, he opted to instead pursue a career as a photographer and studied at Tokyo Sogo College of Photography under Yasuhiro_Ishimoto. Arita photographed from 1964 until 1991. From 1964 to 1966 he worked in the photography division of Nippon Center of Design, Inc.; from then to 1977 he freelanced for numerous publishers and the advertising industry. 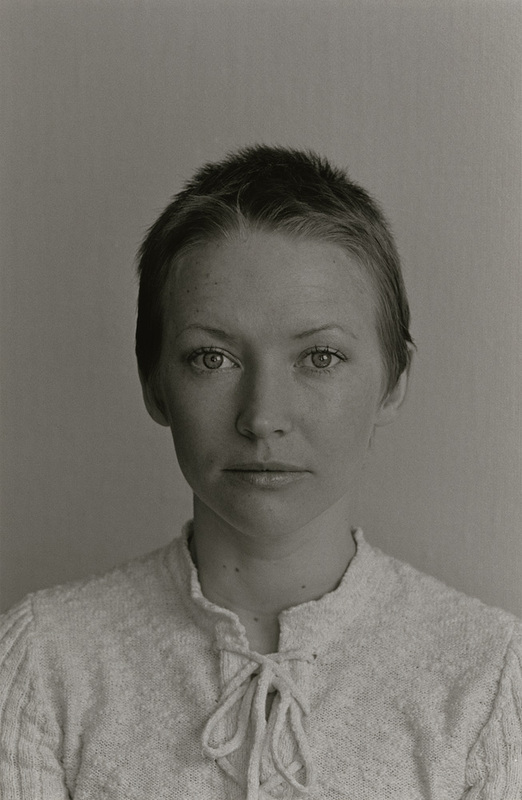 In 1975 he published First Born, a series of images of his first wife and son taken over a period of three years. In 1991 Arita left Tokyo for southern California. He worked as contributing photographer and videographer to Japanese publishers and television broadcasting companies, but started backing away from photography and spending more time on creating fine art (paintings and sculptures). In 2000, Arita moved north to the redwood forest of the Mendocino coast to begin a life devoted solely to creation of art with his wife Masako. He designed and built a house and studio in Fort Bragg. Together they created Arita's final body of work titled Fruit of the Redwoods, which used redwood salvaged from the remnants of trees over 1000 years old. This project became a point of reference for several North Coast woodworkers, many of whom studied under James Krenov’s in the Fine Wood Working Program. Arita’s work both before and after this relocation shows a great and effortless mastery of whatever medium he choses to express himself in. His work was always fresh since he was fearless in investigating new media. Sometimes it appears as if he were channeling a greater consciousness, one whose only purpose in existence was aesthetic. Arita died in Fort Bragg, California, on July 17, 2011, at 70. 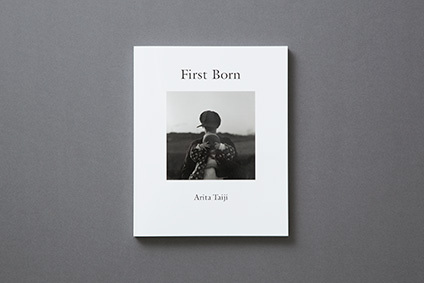 Photographer Taiji Arita's visionary masterpiece, First Born, has finally been published in book form. To purchase a copy, please contact the gallery.